Charlize Theron Sports Engagement Ring? Charlize Theron has fueled rumors she and Sean Penn are set to wed. The 38-year-old actress - who has been romancing the Milk star for eight months - was spotted in Los Angeles International airport on Wednesday sporting a huge diamond ring on her engagement finger, prompting speculation her 53-year-old beau has proposed. The sighting of the ring comes just a week after it was claimed the pair are planning to tie the knot in the Snow White and the Huntsman star's native South Africa in the coming months. “They want to get married very soon,” a source said. And Charlize - who has two-year-old adopted son Jackson - is reportedly keen to adopt a child with Sean shortly after they've exchanged vows. “Charlize always intended to have another child,” the insider added. Click to continue reading Charlize Theron Sports Engagement Ring? Gallery: Charlize Theron Sports Engagement Ring? Christina Ricci Expecting First Child? If that's not a baby bump, then I don't know what is! Christina Ricci was recently spotted arriving at LAX with her husband James Heerdegen sporting what appears to be a major pregnancy belly. Though no one from the pair's camp have given any kind of word regarding Ricci's very round weight gain, it's likely that they will release baby news after the fact - not unlike when they quickly tied the knot last October after having been engaged in February. Gallery: Christina Ricci Expecting First Child? Orlando Bloom's estranged wife denies he is dating Laura Paine. The Pirates of the Caribbean star was spotted holding the model's hand as he took her to dinner over the weekend, but Miranda Kerr - whom he split from seven months ago after two years of marriage - says they aren't dating. “They're just friends. They've been friends for years. We spoke about it, we speak every day. It's fine,” she said. Justin Bieber is being sued by a photographer who says his bodyguard locked him in a restaurant. 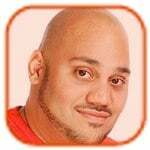 Manuel Munoz claims in a new lawsuit that he was taking pictures of the “Believe” hitmaker as he left the SET Nightclub in Miami Beach in January - hours before the singer was stopped by police for drag racing and alleged driving under the influence (DUI) - and was chased by the 20-year-old star's minder Dwayne Patterson into a nearby Subway eatery. According to the photographer, the bodyguard locked the restaurant door and cornered him in the bathroom, demanding he delete the photos, before trying to “forcibly” remove the memory card and kicking and punching him, damaging his camera in the process. George Clooney has taken his new girlfriend on safari. The Monuments Men hunk treated his latest squeeze, British lawyer Amal Alamuddin, to an all-expenses paid trip to Tanzania to observe the local wildlife. The new photos obtained by People magazine show the lovebirds kitted out in full safari outfits - complete with wide-brimmed hats, khaki jackets and loose cotton shirts - as they take in the sights, cameras at the ready. One image shows Amal snuggling up to George as he protectively places an arm around her shoulders, while another depicts the happy couple smiling as they pose with a group of locals. Mila Kunis and Ashton Kutcher are reportedly engaged. The actress was spotted wearing a giant diamond sparkler on her ring finger while out shopping with her mother at outdoor mall The Grove in Los Angeles on Thursday, sparking speculation her boyfriend of almost two years has proposed. “She is crazy about him!” added a source, confirming the news. Josh Brolin has been pictured kissing Kathryn Boyd. Josh, 46, has been single since his divorce from Diane Lane, his wife of eight years, was finalized last year. The actor - who also had a stint in rehab November last year after a number of drunken incidents - in is in Italy working on Everest, about an ill-fated expedition up the world's highest mountain in 1996, which resulted in eight people's death when their team got caught in a blizzard. The movie will also star Jake Gyllenhaal, Jason Clarke and John Hawkes. 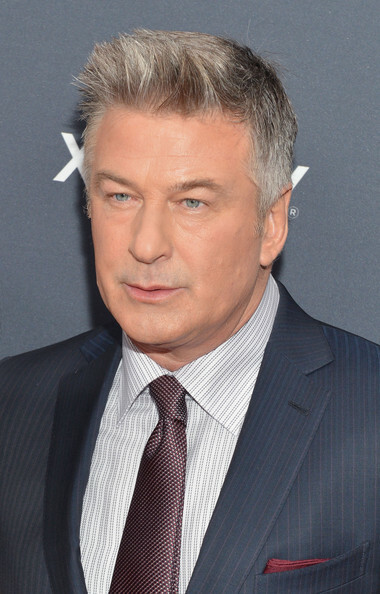 Despite quarreling with him on Orphans, Alec Baldwin is apparently taking a cue from Shia LaBeouf. Baldwin additionally points out that all of the bad publicity surrounding him have cost him projects, including his lucrative Capital One deal, which he says he donated all of his fees to charity. Moreover, even though he's known for being a quintessential New Yorker, the 55-year-old contemplates in his letter whether or not he should raise his daughter in L.A. instead, considering the increased paparazzi craze. “It’s good-bye to public life in the way that you try to communicate with an audience playfully like we’re friends, beyond the work you are actually paid for. Letterman. Saturday Night Live. That kind of thing,” the 16-time Saturday Night Live host concludes.